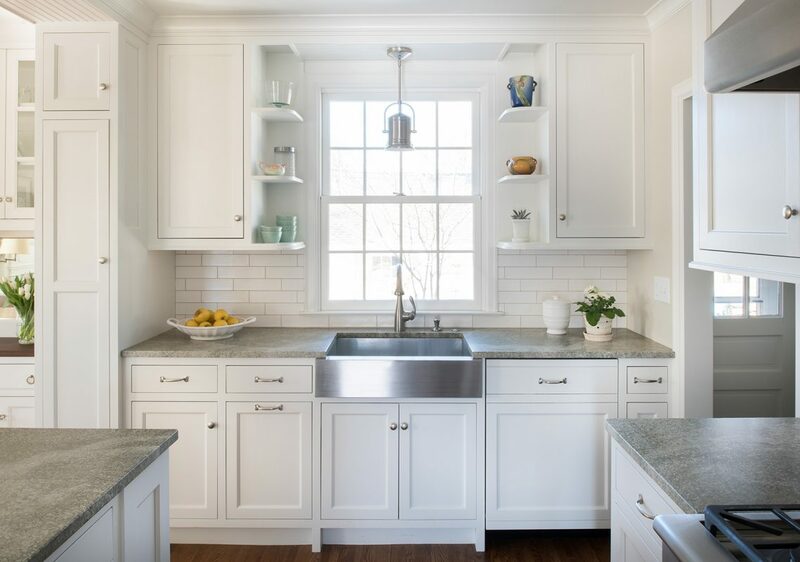 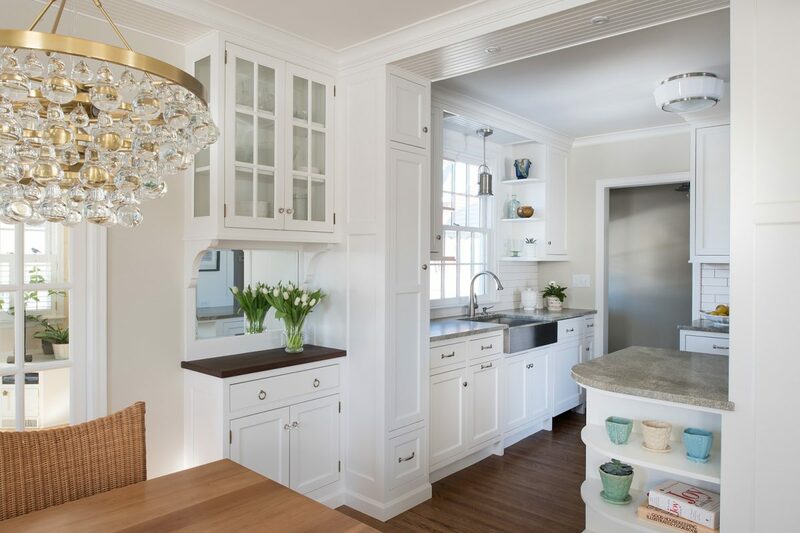 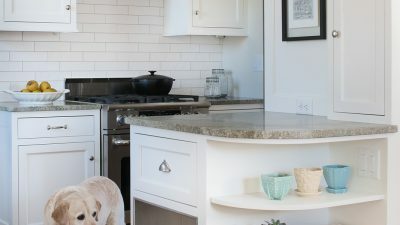 Every inch of this charming Cape Cod’s new kitchen is put to good use, proving that small can be perfect. 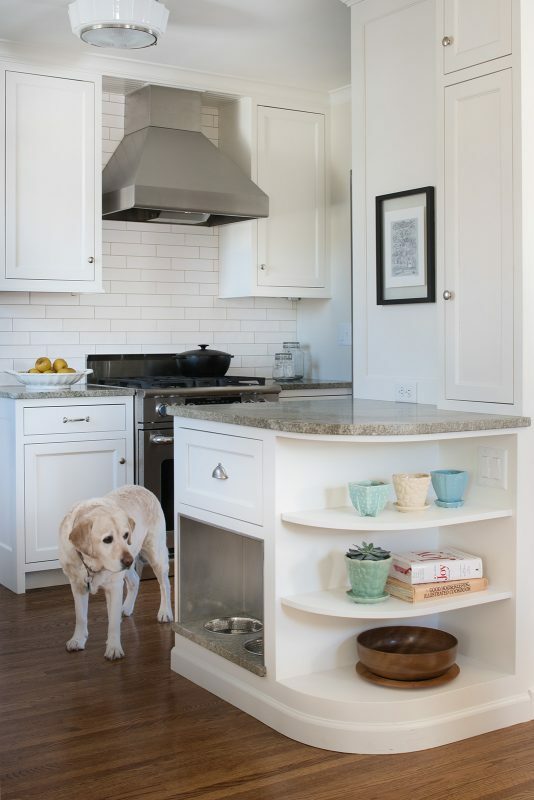 Cabinets between the kitchen and dining serve double duty as room divider and pantry. 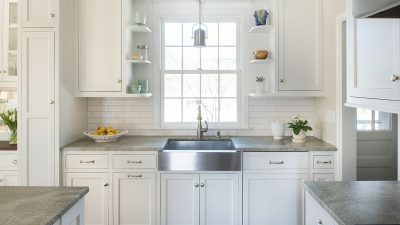 Open shelves flank the kitchen window, inviting sunlight in and providing a view of the patio and backyard. 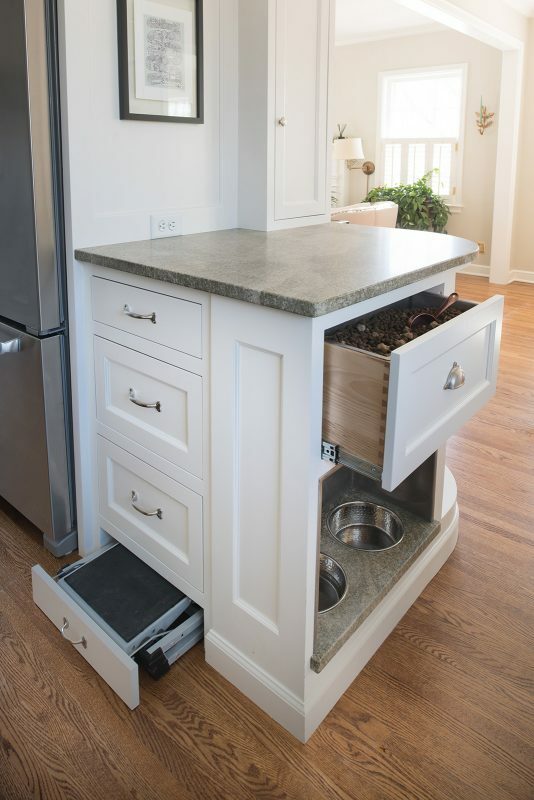 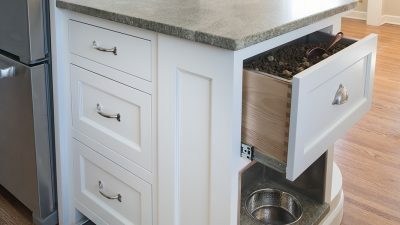 A built-in dog station allows the dog’s food and water to be centrally located and out of the cook’s way. 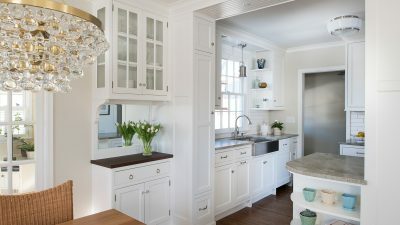 New dining room cabinets provide extra counter space and storage.